This December Mark Berg is teaming up with Far North Sports Fishing and we have a limited amount of spots available fishing the iconic Ribbon Reefs with Bergie himself. The Ribbon Reef system stretches over 120 KMs and offers anglers a myriad of pristine and relatively untouched structure to fish. 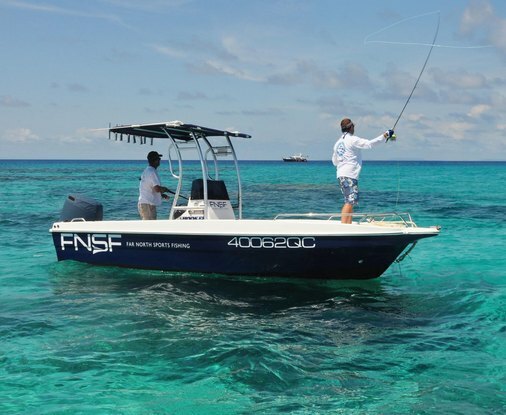 The trip is comprised of five days sport fishing from our three 6-meter centre consoles which are outfitted with top of the range Shimano Reels & Custom built rods. 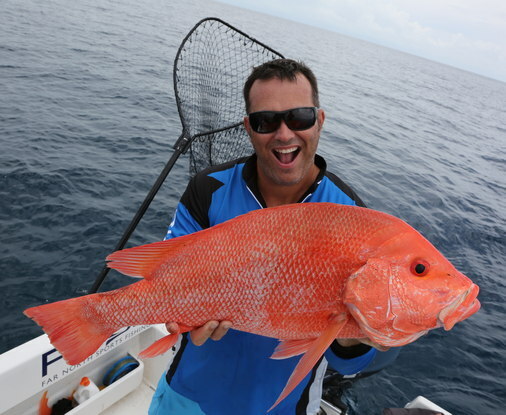 Our experienced guiding team will help you target the likes of Yellow Fin Tuna, Dog Tooth, Mackerel, GT’s, Coral Trout, Nannygai, Red Emperor and many more species found in Tropical North Queensland waters. Enjoy five days / four nights accommodation on board our 70’ Mothership Blue Martini, which caters for six guests in air conditioned luxury and is crewed by our experienced Skipper/Engineer, an Executive Chef, three Sport Fishing Guides and a Stewardess. Our Executive Chef will prepare all meals throughout the day, with a three course haute cuisine meal every evening. Blue Martini is a fully licenced vessel and offers a great range of beer, wine and spirits. The December trips either fly in or out of Lizard Island so you also get an unforgettable private flight over the spectacular Ribbon Reefs. There are just five spots available for each trip and at $999 per person per day including private charter flights they will not last long, so get in quick !